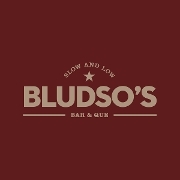 The legend of Bludso's BBQ begins in Corsicana, Texas, where the Bludso family has been perfecting the craft of slow-smoked meats for five generations. But while his family roots are laid in Texas, Kevin Bludso was born and raised in Compton, California. To stay out of trouble, Kevin spent his childhood summers in Corsicana, working long, grueling hours on the pits for his granny, Willie Mae Fields. There, he honed his craft while swearing up and down that he was never going into the restaurant business. He even spent 15 years with the L.A. Department of Corrections, trying to hide from his true calling. But finally, the allure of smoke, meat and family heritage was just too much to resist. So in 2008, Kevin opened Bludso's BBQ, right in the heart of Compton. It was quickly regarded as the best BBQ in all of Los Angeles. Now, with a beloved sit down bar and restaurant on La Brea Boulevard and even an outpost in Melbourne, Australia, the Bludso's legend continues to grow.